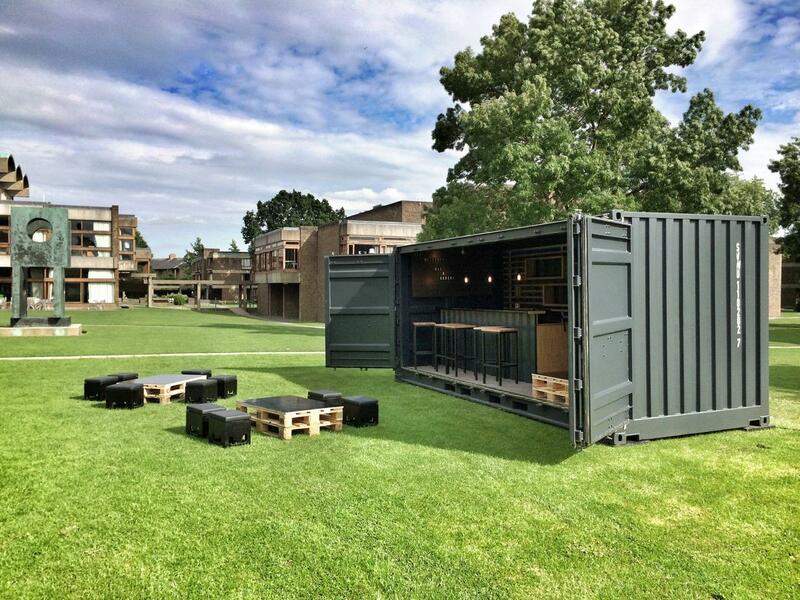 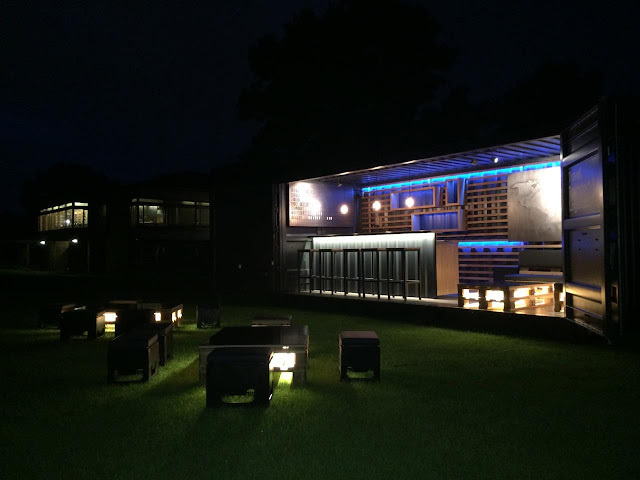 This transportable shipping container bar was manufactured by Artdepartment Berlin on the basis of the concept developed by the Berlin agency DREINULL. One 20 ft open side shipping container was used in this project. The 20 ft open side container has the same footprint as a standard 20 ft ISO shipping container and has full side access doors. The Cedars Social's new owners, Jeffrey Yarbrough and Chad Boyle, decided that Dallas needed a little something new, and apparently utilizing a shipping container as a "fully operational bar" was that something new. 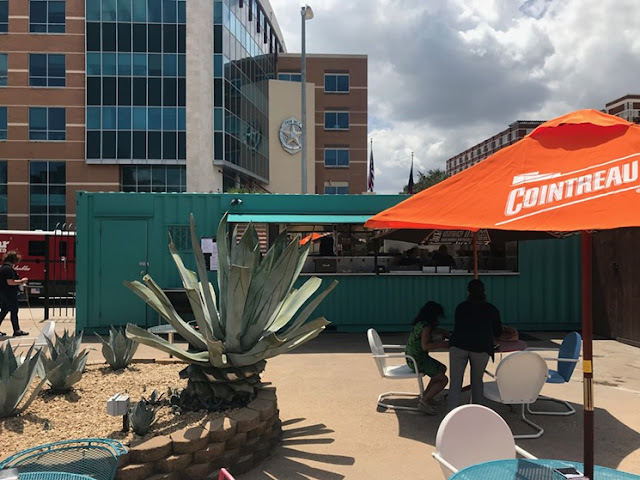 With help from Mod Pod Solutions (owned by Joe Duncan, who happens to also own Baker's Ribs BBQ), the Tiffany-blue recycled shipping container is the centerpiece of the colorful hangout. 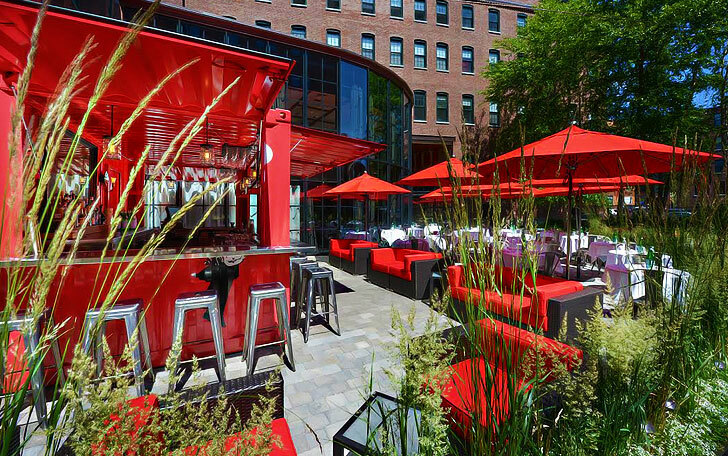 Throw in picnic tables and brightly-colored chairs and you've got a delightfully simple and welcoming outdoor bar. 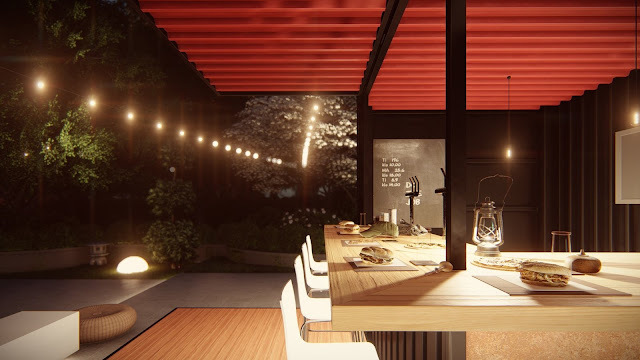 Design and construction: Mini Warehousing Inc. 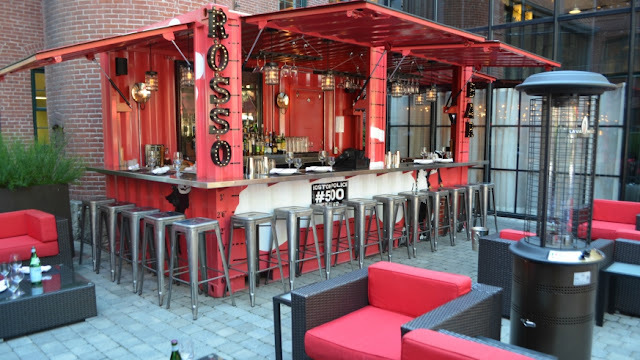 The patio is an outdoor extension of Cinquecento, and will serve the same menu as the restaurant inside. 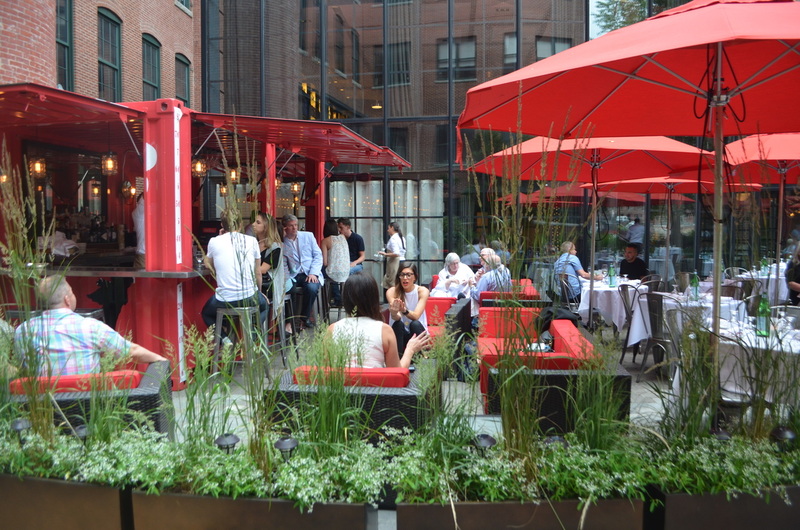 Unlike the restaurant, seating is first-come, first-serve. 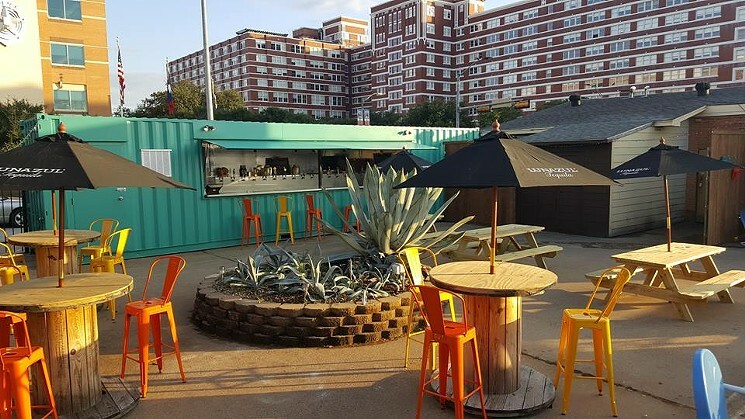 Chris Glionna, the manager at Cinquecento restaurant, had never seen the repurposed storage units before last winter, when a fellow employee sent him a picture of shipping container hot dog stands in New Jersey. 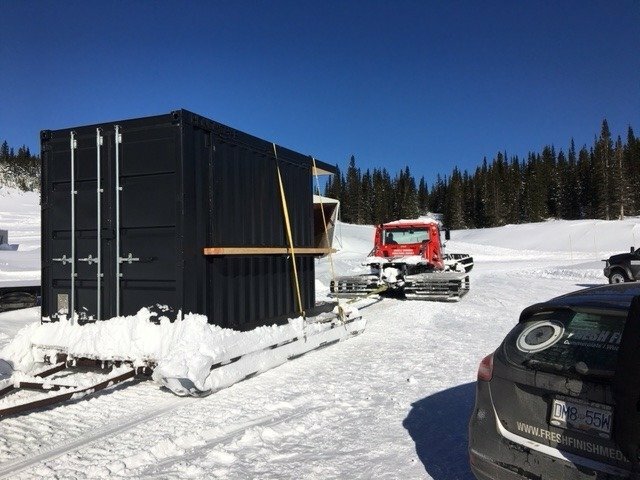 Team members decided they wanted one, too. Cinquecento is located at 508 Harrison Avenue, Boston, MA 02118. 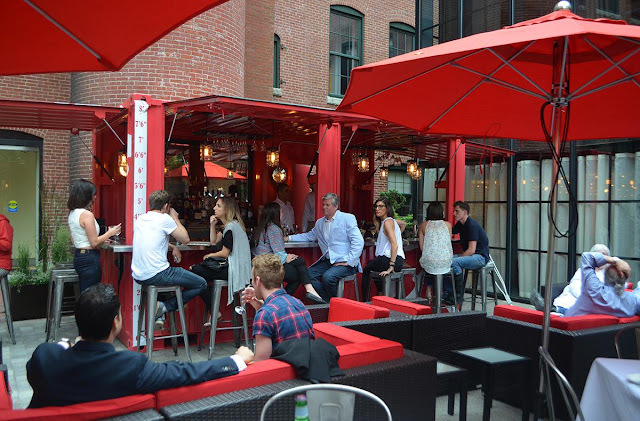 For more information, call 617-338-9500. Canadian prefabricated home builder Honomobo has debuted the Honomobar, a portable bar made out of a recycled shipping container. Able to be sent anywhere across North America, the Honomobar is a pop-up structure that can bring hospitality to your backyard, the pool, by the lake—or anywhere else a drink may come in handy. 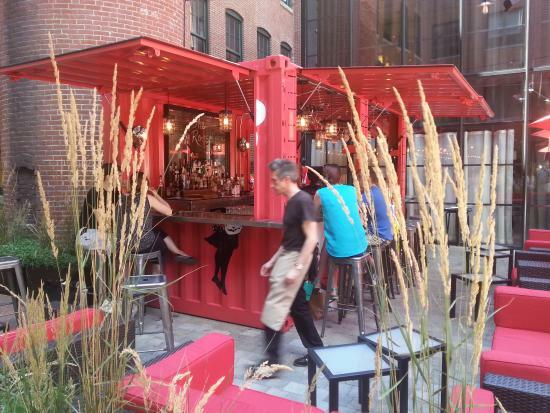 Measuring eight feet-by-12.5 feet, each prefab shipping container bar is a compact 100 square feet. 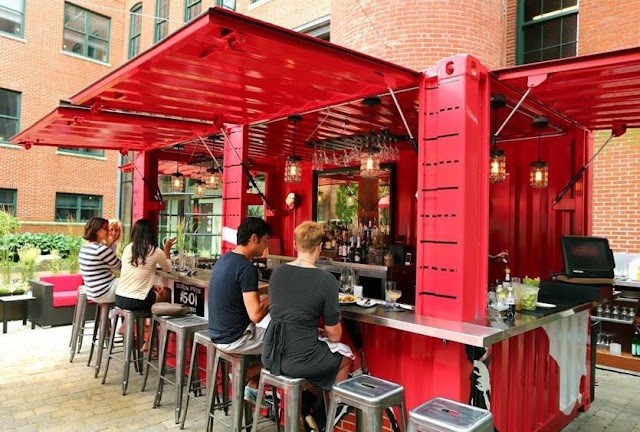 A hydraulic arm opens the main window for business, revealing a red accent panel and a treated butcher block bar top that's ready for service. Guests gather under a three-foot, cedar wood overhang. 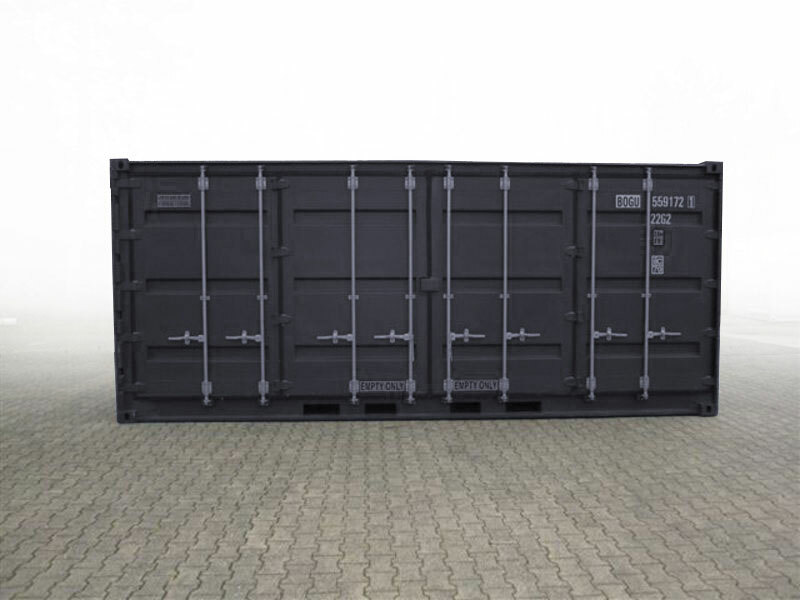 After hours, a black aluminum roll shutter safely locks the container down. 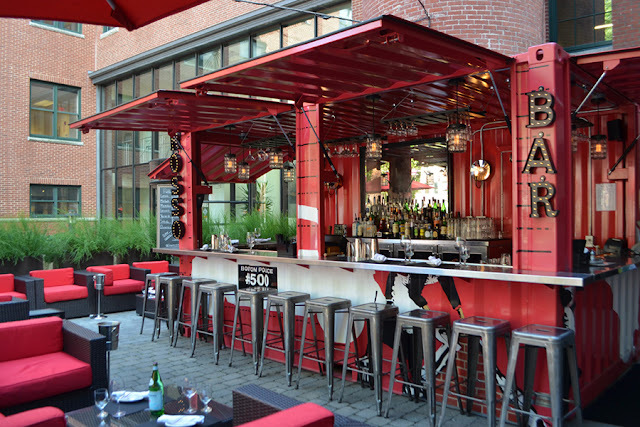 The bar can be easily transported to its location, and easily moved to additional locations. 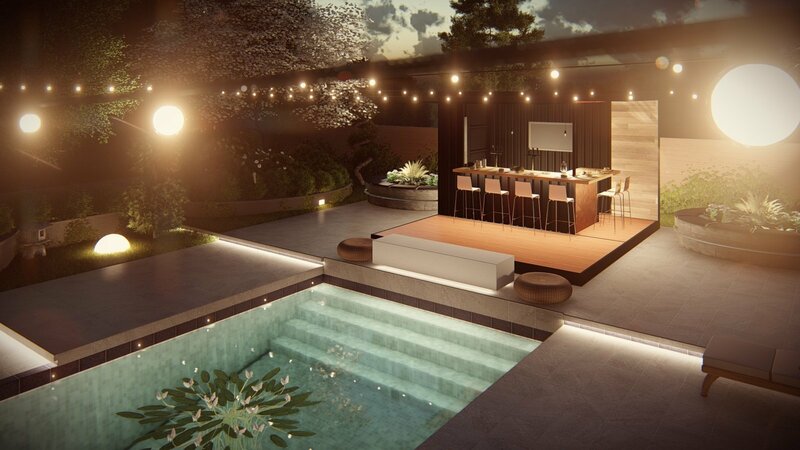 The simplicity of the structure requires no foundation—only the connection to site services and desired electrical and plumbing. 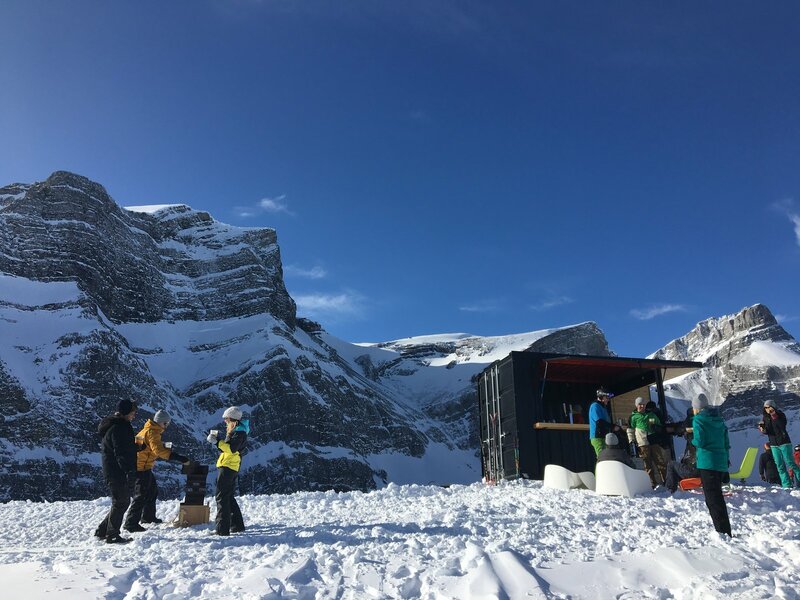 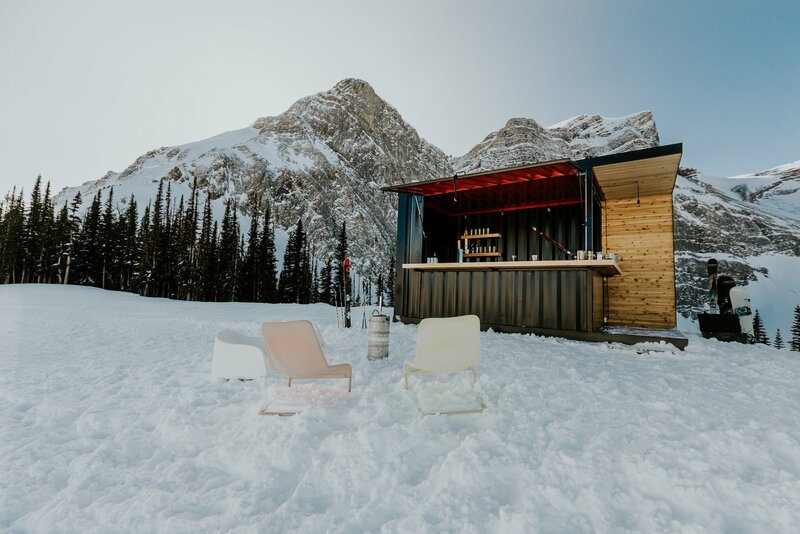 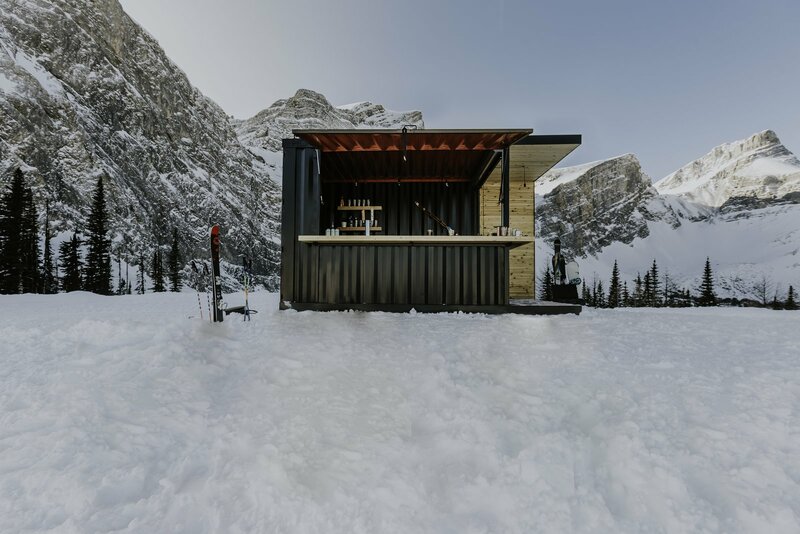 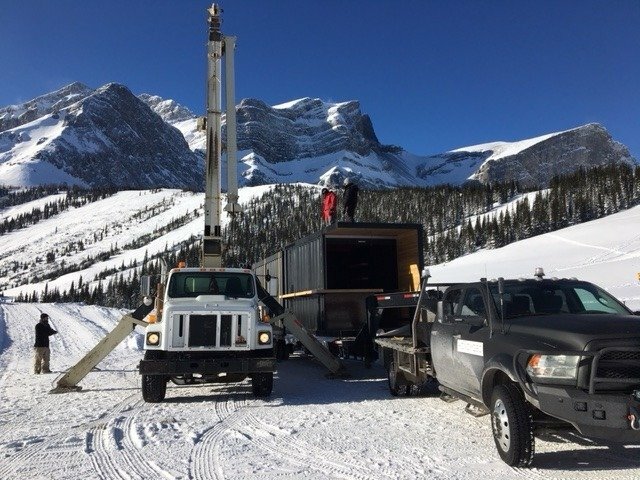 Currently, a Honomobar is set up at Fortress Mountain in the Canadian Rockies, proving that no matter how seemingly inhospitable the setting, the bar can make itself at home. 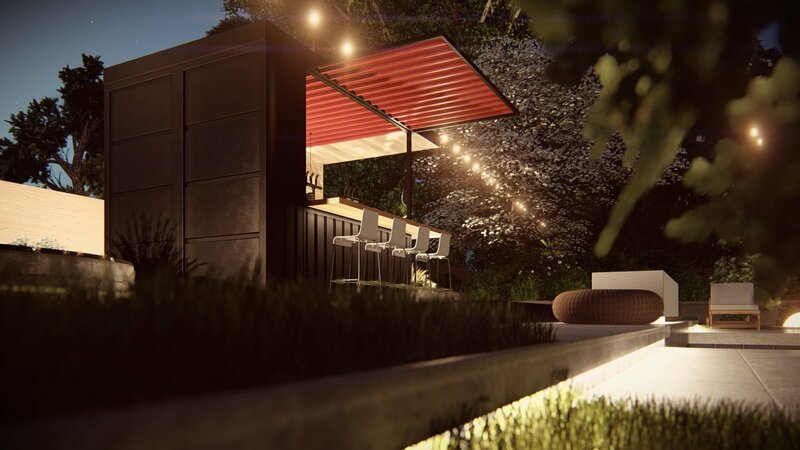 Soon, Honomobars will set their footprint in Seattle and San Francisco, broadening the reach of modular bar construction. 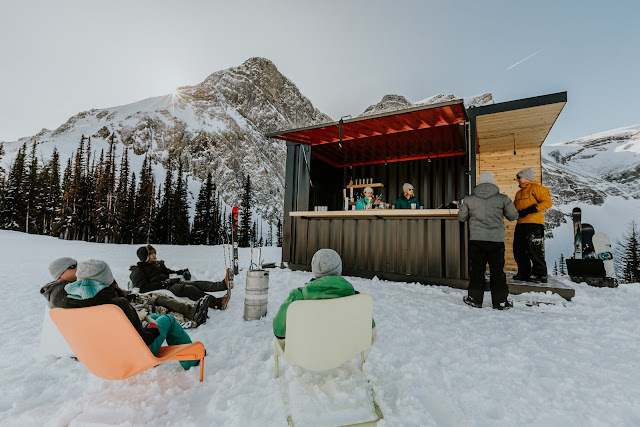 Priced at $19,764 with a four-t0-six week delivery time, Honomobar is pushing the opportunities of mobility, design, and construction for hospitality endeavors.